ATENEO has installed a new head coach in its juniors basketball team in Reggie Varilla, just months after the Blue Eaglets won the UAAP Season 80 championship under Joe Silva. The Ateneo high school made the appointment official in a memo from principal Carmela Oracion which likewise stated that Silva resigned, ending a seven-year stint adorned by two UAAP titles. Among the players who played for Silva during his watch were twins Matt and Mike Nieto, Jolo Mendoza, and Gian Mamuyac, all of whom are already part of the seniors team. Varilla has been part of the Blue Eaglets staff since 2011 and was the deputy coach of the team since 2015. Varilla takes over a team that still has Kai Sotto but will no longer have SJ Belangel, Dave Ildefonso, and Joaqui Manuel, who will now be playing in the seniors division for different schools. 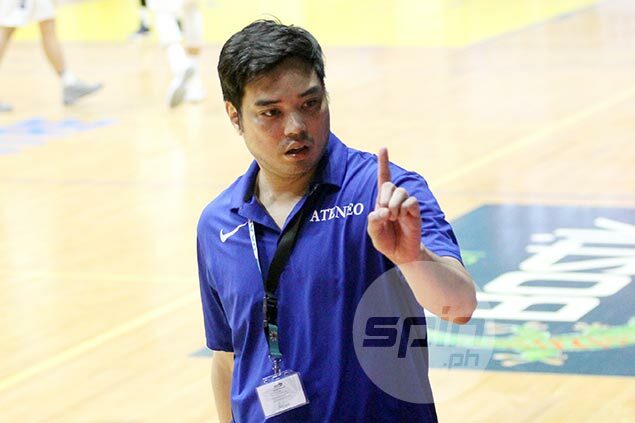 Sources said Silva will remain with Ateneo as part of the coaching staff of Tab Baldwin in the seniors team.